Keep your little one warm and secure with the Waverly Baby by Trend Lab Pom Pom Play Embroidered Coral Fleece Baby Blanket. 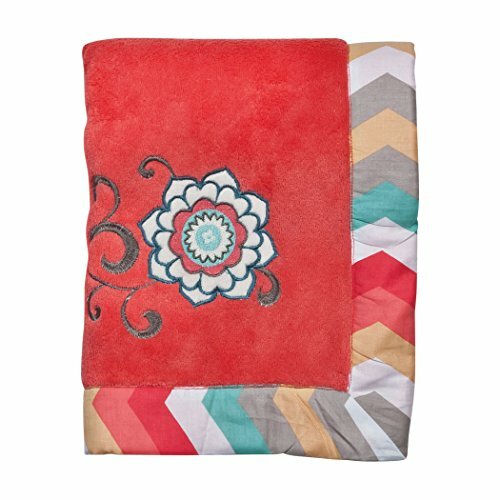 Blanket features cuddly coral pink fleece with a Panama Wave Chevron 100 percent cotton frame and a floral applique in a peaching color palette which highlights coral, teal, gray and taffy. Blanket measures 30" x 40". Receiving Blanket coordinates with Trend Lab's Waverly Baby Pom Pom Play collection. Coordinating Waverly Baby room accessories and gift items by Trend Lab are sold separately. Please adhere to JPMA's Safe Infant Bedding Practices. Wrap your little one in soft luxury with this Lullaby Jungle Plush Baby Blanket by Trend Lab. 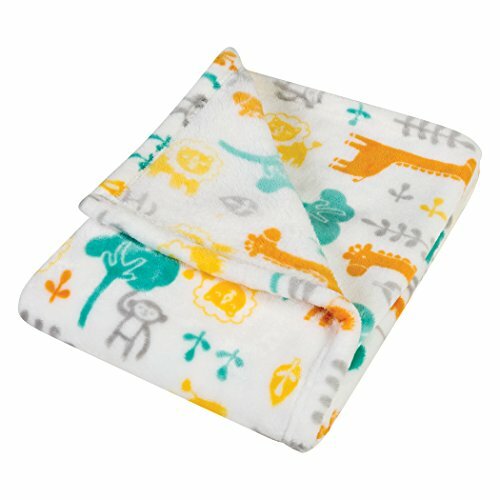 The super soft blanket features jungle animals block printed in yellow, orange, teal and gray on a white background. Blanket measures 30 in x 40 in. Please adhere to JPMA's Safe Infant Bedding Practices. 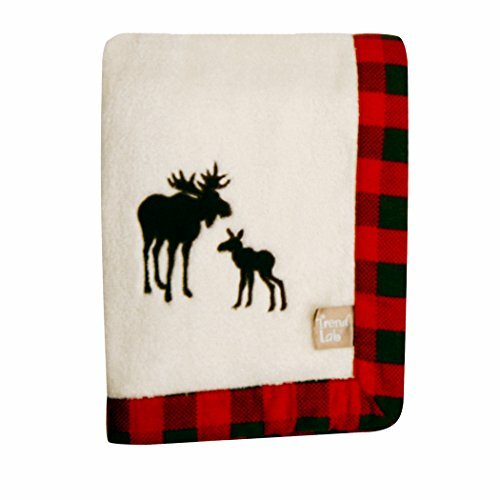 Keep your little one warm and secure with this northwoods framed receiving blanket by Trend Lab. Soft cream fleece is framed by a pinecone brown and deep red check print. A mother moose and calf embroidered applique in the corner adds the finishing touch. Blanket measures 30" x 40". 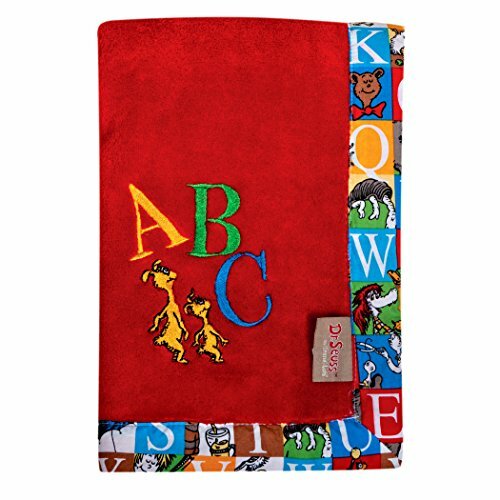 Keep your little one warm and secure with this dr. Seuss by trend lab alphabet Seuss framed receiving blanket. Soft red coral fleece is surrounded by a mini alphabet squares print in gray, tan, yellow, marigold, ribbon red, grass green and shades of blue with black and white accents. An embroidered applique in the corner adds the finishing touch. Blanket measures 30 in x 40 in. Coordinates with dr. Seuss by trend lab alphabet Seuss collection. 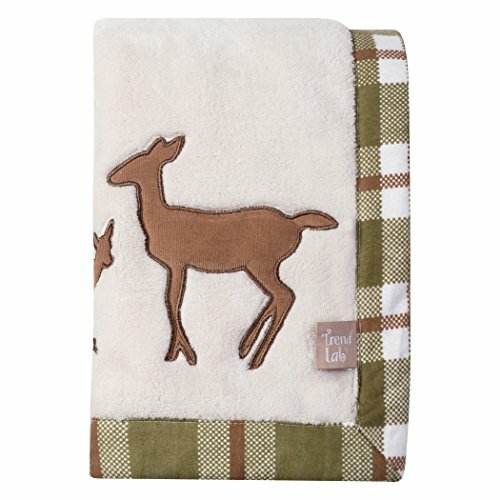 Product sold under license from dr. Seuss enterprises, L.P.
Snuggle up in the Waverly Baby by Trend Lab Nursery Throw. This luxurious super soft throw adds the perfect accent to your nursery. The Waverly Pom Pom Play Plush Nursery Throw features the Pom Pom Play floral print in coral, turquoise and gray on a white background. 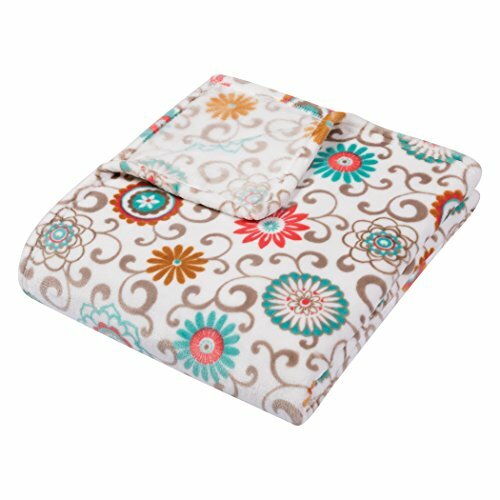 Our generously oversized nursery throw measures 50 in x 60 in. Please adhere to JPMA's Safe Infant Bedding Practices. 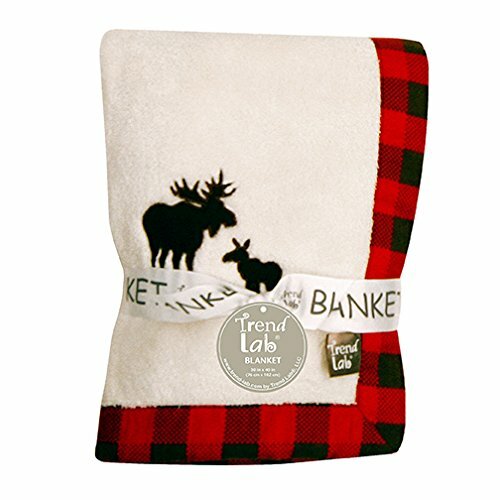 Keep your little one warm and secure with this Wild Forever Plush Baby Blanket by Trend Lab. 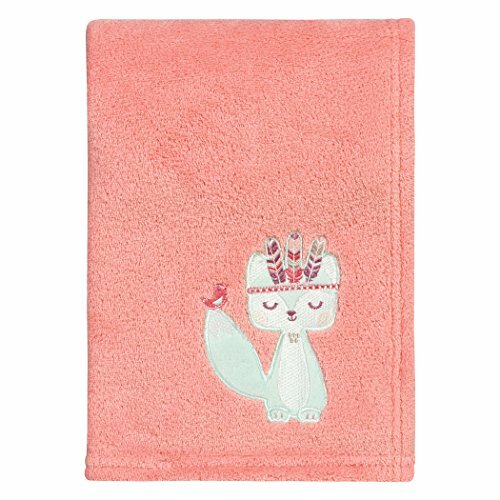 Super soft and cuddly pink plush has a rolled hem and is accented with a sweet fox applique. Blanket measures 30 in x 40 in. Baby Blanket coordinates with Trend Lab's Wild Forever collection. Please adhere to JPMA's Safe Infant Bedding Practices. 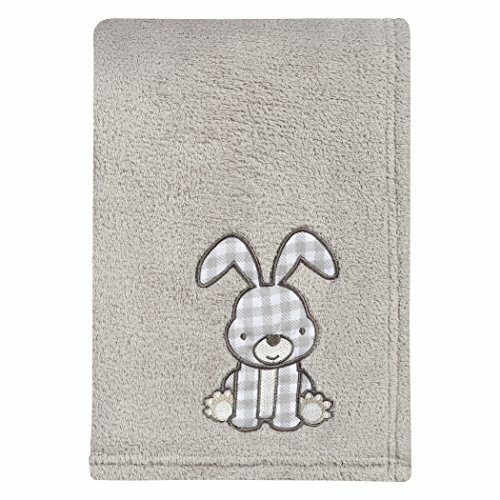 Keep your little one warm and secure with this Gray Bunny Plush Baby Blanket by Trend Lab. Super soft and cuddly gray plush has a rolled hem and is accented with a sweet bunny applique. Blanket measures 30 in x 40 in. Baby Blanket coordinates with Trend Lab's Aztec Forest collection. Please adhere to JPMA's Safe Infant Bedding Practices. 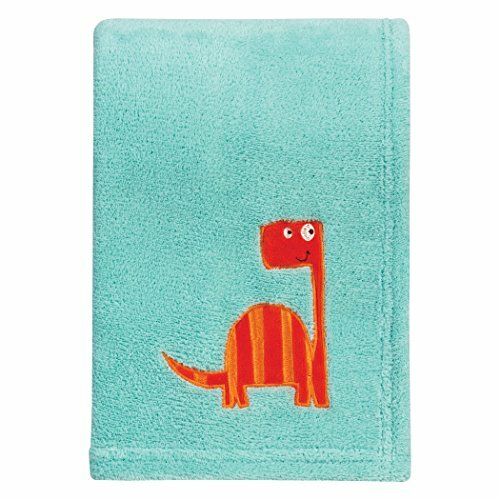 Keep your little one warm and secure with this Dinosaur Roar Plush Baby Blanket by Trend Lab. Super soft and cuddly turquoise plush has a rolled hem and is accented with a sweet dinosaur applique. Blanket measures 30 in x 40 in. Baby Blanket coordinates with Trend Lab's Dinosaur Roar collection. Please adhere to JPMA's Safe Infant Bedding Practices.